It seems like only yesterday that the Civil War and Games puppies were playing on the puppy cam. These puppies are now in the their last month of early socialization classes, and then they'll be able to join the rest of the dogs in training in our regular puppy classes. Early socialization classes help the puppies get used to being around other dogs and performing behaviors in that environment. When these dogs grow up and become service dogs, they will need to be able to perform behaviors regardless of where they are. 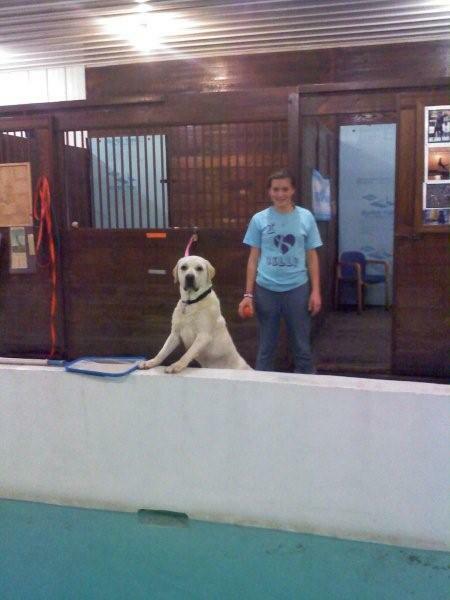 Early socialization lays the foundation and helps the dogs become very adaptable to change in their environment. 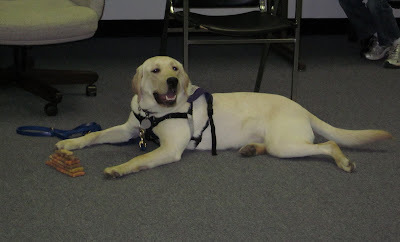 At the beginning of class, we had all of our puppy raisers take their dogs off leash so we could practice recalls. As soon as the puppies were off leash, they started romping around together, happy to have some playtime. Many of the puppies still came to their raisers when called. Our puppy raisers practice recalls as often as they can. A good recall can save a dog's life. Watch SSD Chamberlain bound back to his puppy raiser in the midst of playing with his littermates. The puppies then practiced basic obedience. Each puppy does "sit" and "down" on cue, some on both the verbal and hand signal. Watch SSD Atari sit and give a down on cue. SSD Harriet focuses on her puppy raiser and sits when asked. From a sit, she easily slides in to a down on cue. When the puppies go out in public, they always draw quite a crowd of people wanting to pet them. Usually when people pet a dog, the dog will give that person it's attention. You've probably seen a dog wagging its tail and getting very excited when someone pets it. 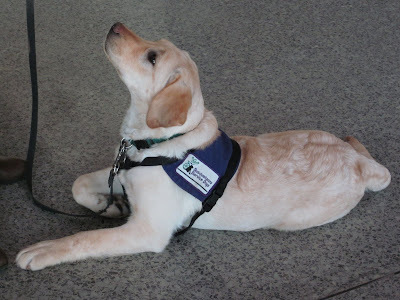 However, a service dog needs to stay focused on its handler, even when someone else is petting it. We start practicing greetings right from the start. When someone asks to pet a puppy in training, the puppy raiser makes sure their puppy is standing calmly with all four paws on the floor or is in a sit or down. Then while the person is petting the puppy, the puppy raiser gives the dog treats to keep them focused. If the puppy gets too excited, the puppy raiser may ask people to stop petting the puppy until they get them back under control. Watch SSD Rummy stay focused on her puppy raiser while she's being petted. In the next video, SSD Clara practices greetings. Note that as soon as she gets up and starts to pay attention to the person who's petting her, the person stops and Clara's puppy raiser works to get her attention again. Once Clara is sitting and focused again, she can be petted. The last thing we worked on in class is the cue "go to bed." When given the cue, the dog should go to their dog bed or mat and lay down. This cue comes in handy when you're preparing food in the kitchen or when you're eating meals. Instead of being underfoot or begging for food, the dog should stay in a nice down-stay on their bed. Watch SSD Meade learn "go to bed." His puppy raiser is shaping the behavior, starting with tiny steps. Note how as soon as Meade puts his paw on the mat, he gets a click and treat. Eventually, he will only get a click and treat for having two paws on the mat, then three, then all four, then laying down and staying. The Civil War and Games puppies are doing very well in their training, and we're looking forward to having them join our regular puppy classes at the end of May. Don't forget about the Highmark Walk for a Healthy Community on May 14! Some of these puppies may be there, and if you sign up and raise money for the Walk, you may get to help some of these puppies practice their greetings! Sign up for the Highmark Walk for a Healthy Community. Help us name Dee's puppies! Who are your heroes? A president, teacher or an activist? Perhaps your hero is a musician, a scientist or an artist. We'd like to know who your heroes are! SSD Dee is going to give birth to her puppies in early May, and the theme of her litter is American Heroes. We need your help to create a list of names for these puppies! We're looking for names of real people, not fictional characters. When you suggest a name in the comments, tell us a little bit about that person and why you think they're a hero. You may suggest more than one name. Don't forget to suggest both male and female names. 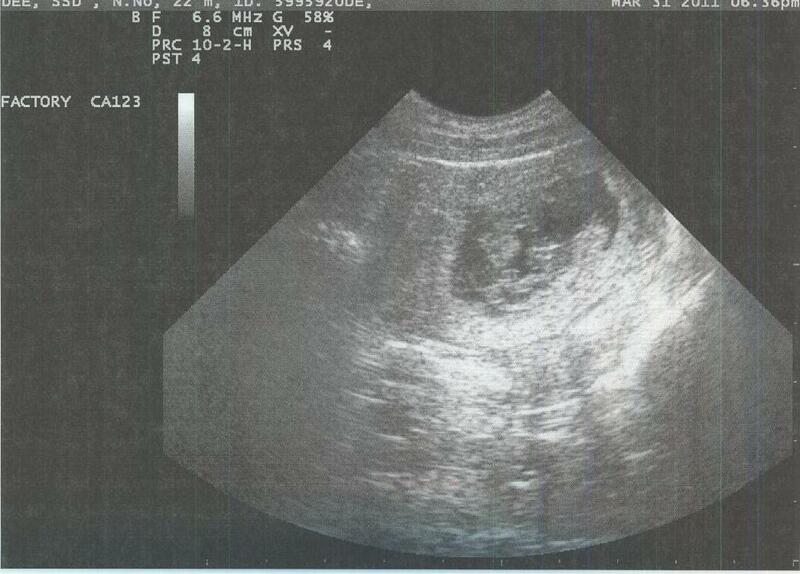 We don't know exactly how many puppies Dee will have! We'll announce the puppies' names when they're born in early May. This will be Dee's first litter and so far, she's doing great! When you look at her, you can definitely tell she's going to have puppies. 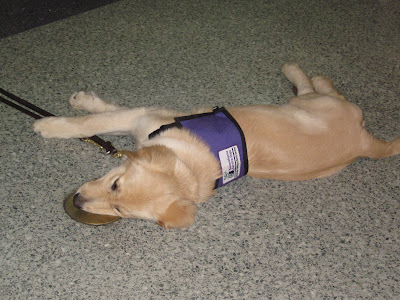 She recently visited the Milton Hershey School, and her breeder caretakers had to adjust her service dog harness. She still gets plenty of exercise, although her breeder caretakers have cut back her exercise to three short walks during the day instead of one long 40 minute walk. Dee tires easily and needs frequent naps and potty breaks. Now that the weather is warming up, her breeder caretakers are being very careful to make sure she doesn't become overheated. To help her get ready for motherhood, they set up the whelping box. Several times a day, Diane, one of Dee's breeder caretakers, puts some treats in the whelping box to encourage her to feel comfortable there. Dee will give birth in the whelping box, and her puppies will spend several weeks there. It's very important that she feel as if the whelping box is her space. 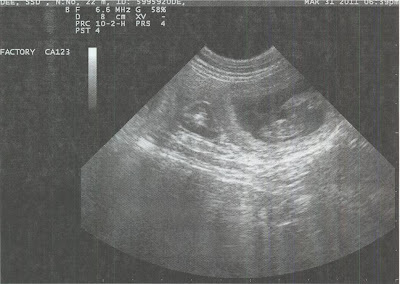 One week before her due date, Diane will start taking Dee's temperature several times a day. 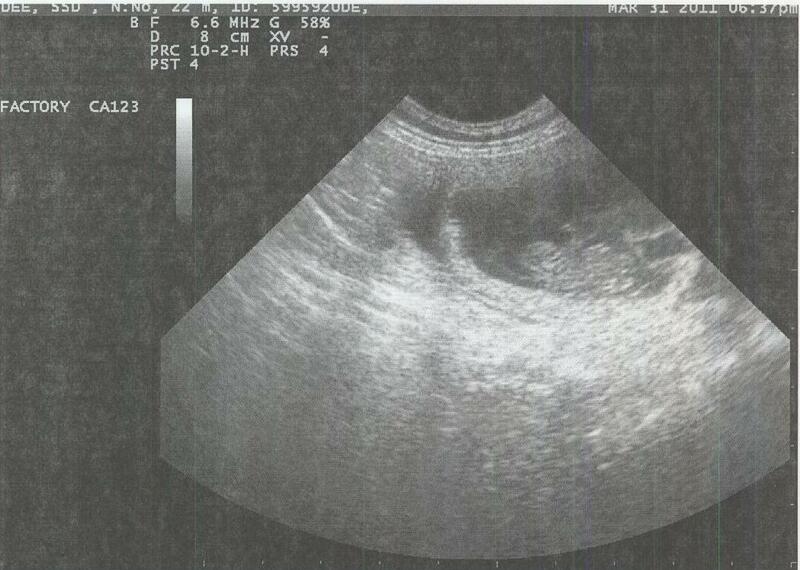 Temperature is one way that we determine when a dog is going to give birth. A dog's normal temperature is between 101 and 103 degrees. When it drops to 98 degrees, we know that labor will start soon, and we keep an even closer eye on her. We will keep you updated on Dee and her puppies. Don't forget to suggest names in the comments! Northeast Puppy Raising Program is ready for takeoff! The puppies in our Northeast Puppy Raising Program are ready for takeoff! Or at least they're ready to take on the airport. Yesterday, SSD Cassie, Ben, Burnaby and Nubble were joined by SSD Cabo, Yukon, Scotia and Phoenix from Central Pennsylvania for a public outing at the Wilkes-Barre Scranton International Airport. Most of the dogs from our two locations had never met before, and it was great for them all to be around strange dogs. All of the dogs practiced loose leash walking to enter the airport. After going through several automatic doors, the dogs then practiced the elevator and stairs to get to the second level. There we met with a member of airport security who guided us through the airport. SSD Yukon walks up the stairs next to her puppy raiser. First, we took the dogs to baggage claim, so they could experience the noise and movement of the suitcases moving along the belt. Once the belt stopped moving, the dogs gave very nice down-stays. SSD Cassie stays in a down by baggage claim. After some more stairs, we were allowed to go through security. The dogs had to wait patiently while their puppy raisers removed their shoes and placed personal items in the bins, and then the dogs had to walk calmly next to their puppy raiser when the security guards waved them through. After going through security, the dogs practiced nice down-stays and unders while their puppy raisers put their shoes back on. The airport can be a very challenging place for a dog, especially with all of the people, luggage and noise. We were lucky that the airport was relatively quiet while we were there, making it a little easier for the dogs on their first outing to the airport. The dogs did very well, although they were tired by the end of the outing! SSD Ben is ready for a nap by the end of his trip to the airport. Thank you to the staff at the Wilkes-Barre Scranton International Airport for being so friendly and welcoming to us! Look for more posts about our Northeast Puppy Raising Program every month. And don't forget that you can always follow the adventures of SSD Nubble as he learns how to be a service dog! Win the Rights to Name an SSD Puppy! Would you like to name an SSD puppy? You'll have the opportunity to win the rights to name an SSD puppy in the Highmark Walk for a Healthy Community! 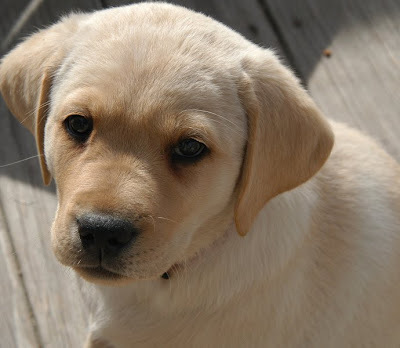 The individual or team that raises the most money for Susquehanna Service Dogs in the Highmark Walk for a Healthy Community will win the rights to name one of our puppies. You must be registered for the Walk in order to be eligible to win. 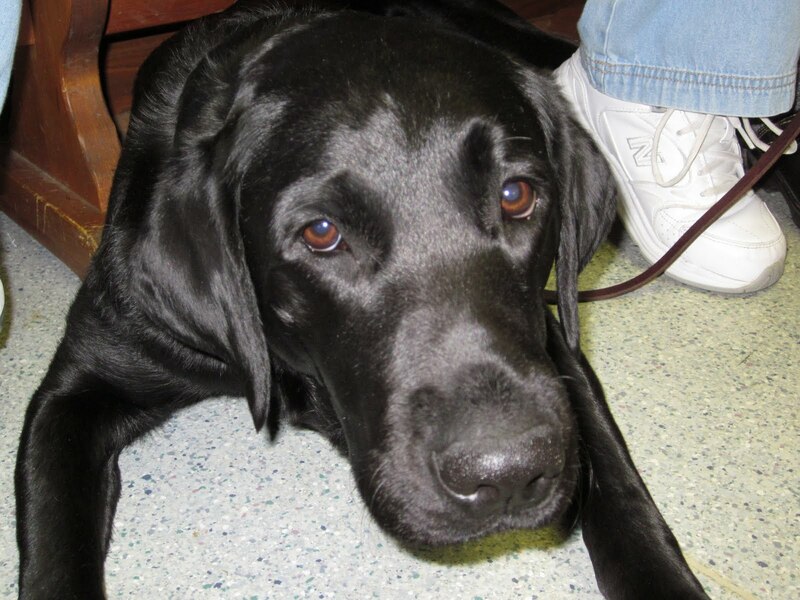 Our goal is to raise $20,000 - the actual cost of raising and training one service dog. With your help, we'll reach our goal! Register for the Highmark Walk for a Healthy Community. The Highmark Walk for a Healthy Community takes place on May 14 on City Island in Harrisburg, PA. The 5k walk begins at 9 a.m. and the one-mile fun walk starts at 9:15 a.m. Visit our website for more information. As soon as SSD Jasmine walks into the classroom, she trots over to a boy who is crying. She licks his face, makes him laugh and helps him continue his day with a smile. Jasmine works as a facility dog for students with disabilities in an elementary school. "Jasmine's presence in the classroom has made a huge difference," says Gina, a school social worker and Jasmine's handler. "Students pay attention to their comments and behaviors, and their confidence when they're walking with her is incredible!" You can help us raise and train more dogs like SSD Jasmine to change the lives of children and adults with disabilities. 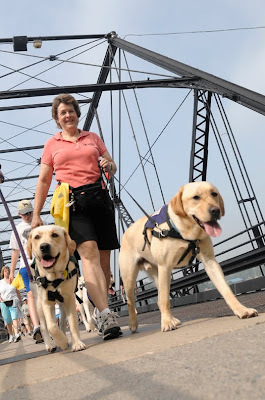 Susquehanna Service Dogs is participating in the Highmark Walk for a Healthy Community on May 14 on City Island in Harrisburg, PA.
Our goal is to raise $20,000 - the actual cost of raising and training one service dog. With your support, we will reach our goal! Register for the Walk and start raising money! It's easy to sign up. Just use the online form. Then ask your friends, family, coworkers and neighbors to help you reach your fundraising goal. Or you can become a virtual walker! If you already have plans for May 14, you can still support us! Make an online donation and then treat yourself to a nice walk in your community when you have time. SSD is entirely funded by donations from people like you. 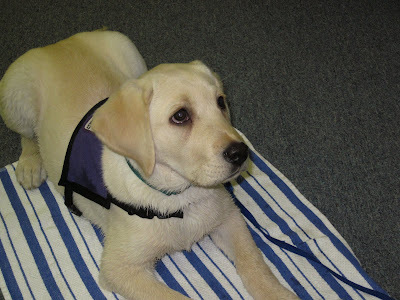 Your financial support is the reason we are able to raise and train service dogs like SSD Jasmine to change lives. We hope you'll join us for the Highmark Walk for a Healthy Community! SSD Nubble and his puppy raisers are working hard on his cues. Last month, he went spent the afternoon at Berks Career and Technology Center with Lindsey. He handled the busy hallways well and practiced "under" in her geometry class. Then, the principal let Lindsey and a classmate spend time in the cafeteria with the doors closed so that Nubble could stretch his legs! Lindsey used that time to practice "stay" and "come." It was a great afternoon. Thank you to BCTC and the principal for welcoming Nubble into the school! Nubble picks up some cues very quickly. Others are more challenging for him. "Leave it" and "paw" are his latest challenges. When Donna starts working on "leave it" with him in a training session, he understands what he's supposed to do, and he doesn't touch the object. The challenge comes into play when he has to apply "leave it" to real life. The cue "paw" signals to the dog that he should pick up his paw and place it in his handler's hand. When Donna gives Nubble the cue, he picks up his paw and moves it at or near her hand, but he won't actually set it in her hand. In a relaxed situation, such as when he's laying on the couch, he will let her touch and pet his paws, so he's not opposed to having someone touch his paws. Donna has been working hard to help him learn the cue "paw." At puppy class, she used a target stick and had him target the stick with his paw. She started with the target stick on the floor, making it very easy for him to succeed. Watch the video of Nubble practicing "paw" in puppy class. See the progress he makes by the end of the training session! Other cues come very easily to Nubble. He learned "go to bed" very quickly! He has also been working on "under." He knows the cue, but he doesn't always do it perfectly. When given the cue "under," a dog should go under the table, bench, chair, etc. and lay down. Sometimes Nubble just sticks his head under the bench or chair. Other times he'll go under, circle around, lay down, and then scoot back out. Donna is always looking for opportunities to practice "under." When the Northeast Puppy Raising Program went bowling for one of their outings, Donna and Nubble practiced "under" with a stool. Nubble managed to get his torso under the stool, but his back end and shoulders were sticking out! He did eventually figure out what he was supposed to do, although he never actually fit under the stool. The bowling outing was a lot of fun. Nubble couldn't figure out why he couldn't chase the bowling balls down the lanes, though, and he barked. Our volunteer trainer has Donna work with Nubble, removing him from the situation, and then coming forward again to the point just before he started barking. Then Donna and Nubble slowly worked their way forward. Although Nubble wasn't able to get very close to the bowling lanes this time, it was still progress. Nubble loves to swim! He went to the Canine Spa in Dillsburg. He's funny about the water, though. He doesn't like to get in the water right away. 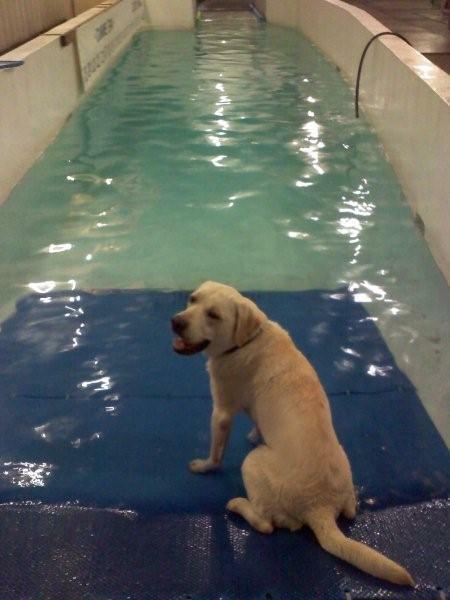 Once he gets wet, though, he has a great time swimming! Next week, our dogs in training in the Harrisburg area have their evaluations. These evaluations are less of a test and more of a one-on-one training session with one of our trainers. Now that Nubble is coming to our Harrisburg puppy classes, he will get an evaluation, too. Wish him luck! All of our puppy raisers came to puppy class with their dog in training, but this time, they didn't work with that dog in class. Halfway through puppy class, we had all of our raisers switch dogs. This was good practice for both the raisers and the dogs. The dogs had to learn to work with a new handler, and the raisers had to learn to communicate with another dog, and usually that dog was very different than their own dog. Both the dogs and puppy raisers improved their skills. After switching dogs, we had everyone practice loose leash walking. Even though the dogs were working with different handlers, they did great! Watch the video of SSD Zappa, Topaz, Nubble and Yukon walk beside different handlers. "Leave it" ranks right up there with loose leash walking when it comes to important service dog skills. It can be used to cue the dog to ignore a number of things, including food, people, other animals and objects. At puppy class, we had our puppy raisers practice "leave it" with their new dogs. To make it interesting, we played a version of Temptation Tower, the newest Dog Olympic Game! We gave each raiser a four dog biscuits, and they had one minute to build a tower and have their dog practice leave it. At the end of the minute, we gave everyone four more biscuits. They rebuilt their tower. Each time we increased the difficulty for the dogs by adding more biscuits, but the dogs were doing so well that we had to make it even more challenging. We had our raisers build a tower, then stand up, all while their dog remained in a down-stay. When the dogs succeeded at that, we had our raisers not only stand up, but also walk to the middle of the room. And the dogs didn't budge! In this video, SSD Taz watches his handler build a tower of dog biscuits. Watch his face. You can tell that he really wants those biscuits, but he still doesn't try to eat them. SSD Rio is like a statue when she plays Temptation Tower. Her handler told her "leave it," so she doesn't try to eat the biscuits, but she stares at them. Before everyone switched dogs, we practiced the cues "under" and "paw." Watch SSD Dylan present his paw in cue for his puppy raiser. "Paw" is useful for nail clipping. We clip all of our dogs' nails, and we want the dog to be a willing participant. We train the dogs to offer their paw and let us clip their nails. It was a fun puppy class, and we think our dogs and puppy raisers are going to be well prepared for their evaluations next week! SSD Onyx has her own business cards. She carries them with her whenever she goes out in public, and her puppy raisers hand them out to anyone who stops to ask questions about Onyx. 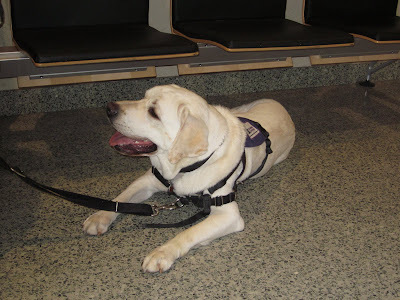 When people see her purple SSD harness, they usually assume that she's being trained as a guide dog for someone who is blind. 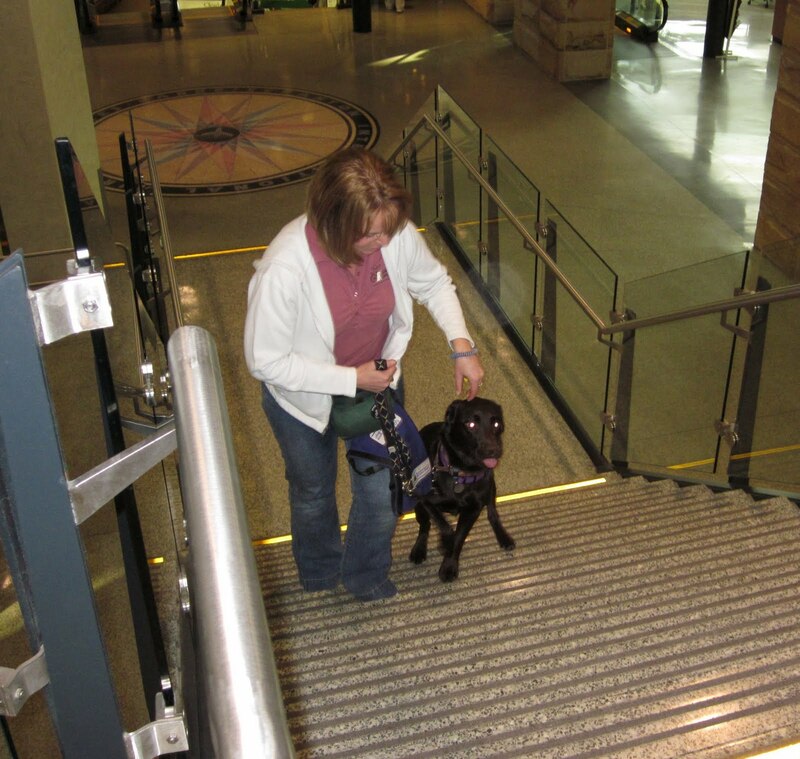 Very few people realize that dogs can be trained to assist people who use wheelchairs, people who are deaf or hard of hearing, children and adults with autism, and people who may have a psychiatric disability, such as veterans with PTSD. 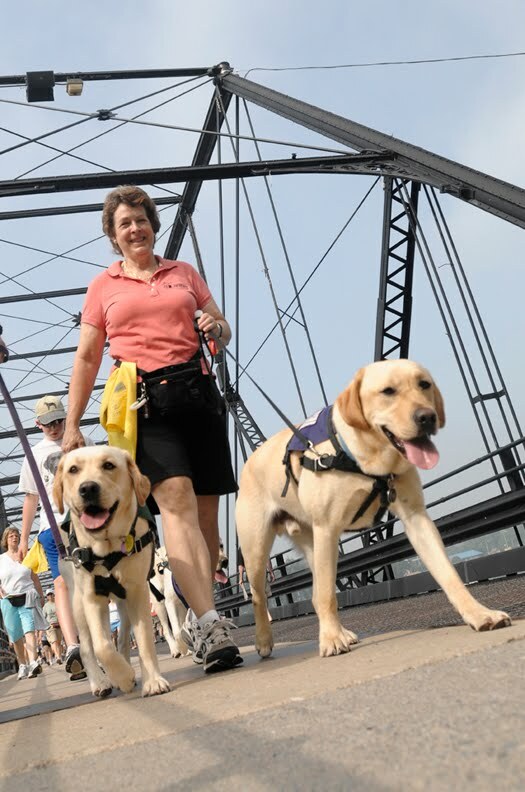 Carol and Mark, Onyx's puppy raisers, have been educating people about service dogs and raising awareness in the community. Onyx recently went to Hollywood Casino for our puppy outing. With all of the people, loud noises and other dogs, it was the perfect place for Onyx to practice her loose leash walking and attention to her puppy raiser. In our last post about Onyx, we mentioned that she gets very worried when there are other dogs or other dog smells, and she has trouble focusing. Carol and Mark have been working with her to get her comfortable with other dogs and dog smells. For example, at the pet store, they will walk in the parking lot toward the pet store to the point just before Onyx starts to get worried. Then they'll turn around and go back to the car. When Onyx is refocused, they'll try again. In theory, each time they move toward the pet store, Onyx will be able to get a little closer because she will realize that there's nothing to be worried about. She also learns to trust that her puppy raisers will take her away from whatever is worrying her. Onyx practiced this training method at the casino, with the help of SSD Rossi. Onyx and Carol started several yards away from Rossi and slowly moved toward her. As soon as Onyx started to lunge forward to see Rossi, Carol turned and they walked back to their starting point. They slowly proceeded, moving forward and going back until Onyx was able to greet Rossi. This method is working very well for Onyx. Her puppy raisers have noticed that as soon as she starts moving away from the other dog or dog smells, she calms down and refocuses, and each time she moves forward again, she is able to get a little bit closer. Onyx had more success at our Chocolate World outing in February. Last year, she was too stressed to get on the Chocolate World ride, so this year, Carol planned to just take Onyx through the store. However, Onyx was doing so well that Carol decided to try the ride - and Onyx did it! They started out by just walking in a circle near the cars, and when Onyx seemed fine with that, they tried getting on the cars. Onyx did it! While she was on the ride, her puppy raisers used one of Onyx's favorite power treats - spray cheese! When they left Chocolate World, Onyx had to walk over a large grate. She is not fond of walking on grates, but this time, she walked right over it, although she did pause at first. Carol and Mark plan to practice grates more often with her. Carol and Mark are also working on Onyx's attention and focus in their own backyard. Now that it's spring, the ducks are back in the yard, and Onyx loves to chase them. Carol has been taking her out on leash and clicking and treating her for attention. It's challenging for Onyx because she would rather play with the ducks, but she has been doing well. Since she was a puppy, Onyx has stalked things. She will slowly sneak up on something, hold her position for a long time, and then suddenly pounce! Watch a video of Onyx trying to sneak up on Carol. Look at how long Onyx holds her position before the big pounce! SSD Dee is having puppies! 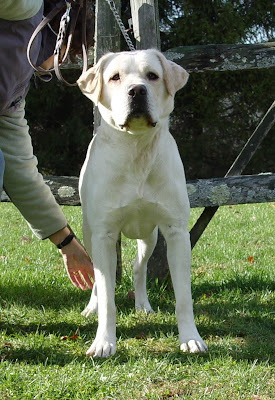 Late in February, SSD Dee was bred to GEB Venture from Guiding Eyes for the Blind. Yesterday, she went to the Palmyra Animal Clinic to find out if she was pregnant. 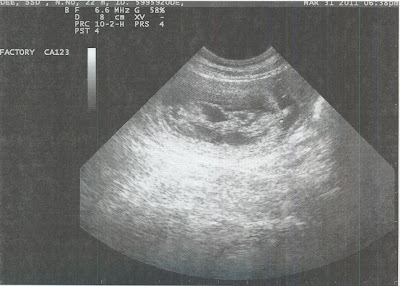 The ultrasound revealed about six puppies!